When I rode to TDF I used a Garmin Zumo 550 for the first half. It broke in a multitude of ways over time. The screen stopped accepting input via touchscreen. The contacts on the mount corroded and I could no longer charge the GPS which was then only able to show me my current position through manipulation of the physical buttons on the side. However, that is not the full story. While that sounds like a negative review of the Zumo 550. Truthfully, I sent that GPS to hell and back BEFORE I started the trip putting around 20,000 miles on motorcycles and another 80,000 miles on it in the car. I used it ALL the time in every single vehicle. The mount corroded because of my poor initial installation. 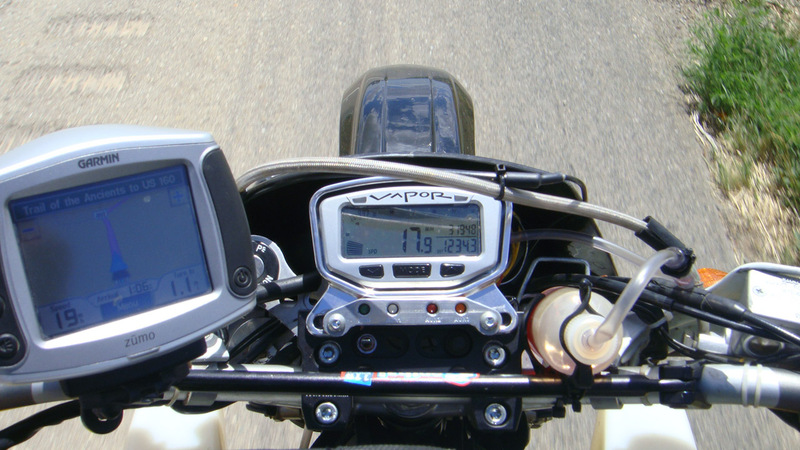 I hardwared the cradle into the bike’s electrical system leaving constant power to the GPS mount. On subsequent motorcycles, I’ve connected the cradle to the electrical system via a relay connected to the bike’s ignition only providing power when the bike is turned powered. With this installation technique, I have not had any problems with the connectors corroding. I still recommend the Zumo line and that is what I’m taking on my current RTW trip. I am using the replacement 550 that Garmin sent me (for $200) after mailing in my totally and completely destroyed 550. The Garmin base maps that are included with the unit are useful and have all the major routes on them. I didn’t use them like I do in the USA by entering the address of the next hostel and the GPS tells me I’m 193 minutes away. I turned on bread crumbs and made sure I was heading towards the right city. It worked very well considering the lack of detail. The reality is that you’re traveling through 14 or 15 different countries and often each of them have their own maps. Garmin has a World Map product that is generally regarded as poor and only slightly better than the basemap. There are also the Wanderlust mapset from Smellybiker that is supposed to be better and maybe even routable (input exact addresses) in some areas. An alternative to paid maps is to investigate the Open Street Maps project. I have only started investigating them and it appears they have excellent routable coverage in some areas and in others it is very spotty. It is certainly worth well beyond the price – $0. Assembling the maps that you need is a bit tedious but not too incredibly difficult. The best GPS map of Laos I’ve used in the Laos GPS Map. You can check out their website here. Full disclosure: I made their website!!! Bici Maps are currently the best map set that I’ve used. They are quite complete and even include detail for thousands of cities. 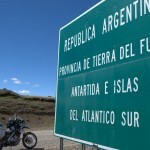 Garmin produces a mapset for Argentina that also include Chile. They were incredibly helpful as they were routable which really made exploring the two countries much easier. 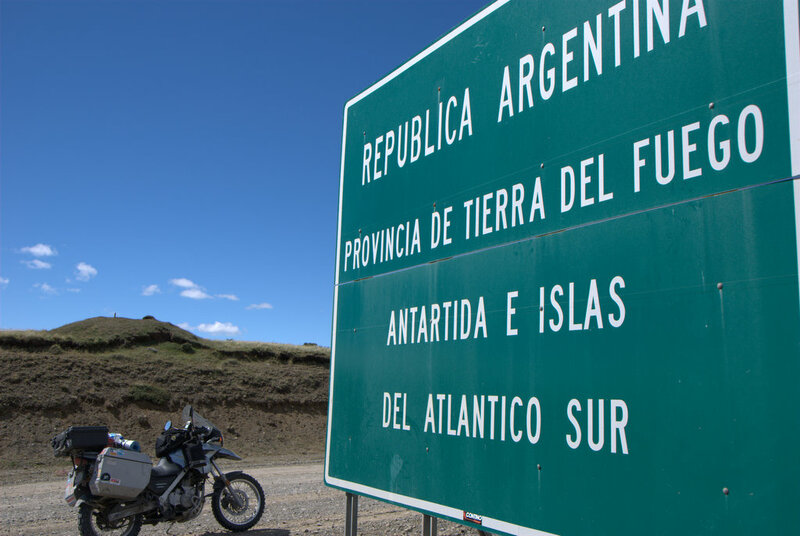 There is a free alternative for Argentina with Mapear. I haven’t used it but have seen it linked several times on the forums. They have an English language installation tutorial.